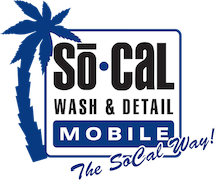 SoCal Mobile Detailing provides the San Diego area with the best mobile detailing services in Southern California. We have quickly developed a reputation built on quality services and excellent customer service. Our focus is on our results and delivery. What Makes Us The Best Auto Detailing In San Diego? Here at SoCal Mobile Automobile Detailing & Wash we pride ourselves on offering the best detailing services in San Diego. When searching for an auto detailer in San Diego, our customers know they can trust us here at SoCal Mobile Detailing and here are the reasons why. So Cal Mobile Detailing & Wash Gift Certificates Available Now! What better way to tell someone you love they are valued. Our gift certificates are available and can be purchased online. There are always occasions in life to embrace others and offer a So Cal Mobile Detailing Gift Card. Californians love cars. We have a rich history of car showmanship and before any great presentation, detailing is always recommended. Plus, there is added-value return for those who keep their car detailed and in good shape. San Diego residents and create that added-value by having your car detailed on a regular basis. That’s the way to add value to your auto and make it much easier to sell when the time comes. SoCal Mobile Auto Detail goes the extra mile to service you and to keep your vehicles looking great and preserving resale value. Use of special tools to dig out grime and dirt and sticky material from crevices, nooks and crannies. Surface disinfection is also applied to kill germs inside the vehicle as well as out.